Pets are Welcome! Cats and dogs, big and small, tall or short! All pets are subject to approval by management and a "meet and greet" may be requested prior to approval. Residents will need to produce pet vaccinations and renters insurance. Up to two pets per apartment. 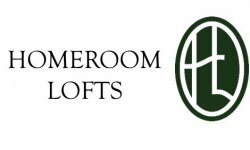 Please call for further details..
Homeroom Lofts is a no smoking property.